Chicago-based saxophonist Shawn Maxwell has produced an excellent run of straight ahead CD releases in the past decade, sets like his two self-produced discs, Originals (2006) and Originals II (2008), and Maxwell’s House (Chicago Session LTD, 2010) before he changed his game up with Shawn Maxwell’s Alliance (Chicago Sessions LTD, 2015), a shift away from mainstream quartet – sax and rhythm section – to a walk-on-the-mini-big-band wild side, with a group that includes French horns, vibes, a vocalist and additional saxophones. So what about the trumpets? As to the trumpeters, Maxwell uses three of them, rotating them in and out like basketball subs in an all star game: Victor Garcia, Chad McCullough and Corey Wilkes. 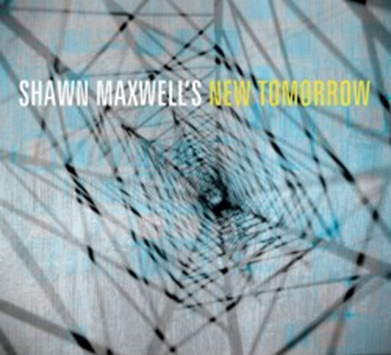 As usual, Maxwell has penned all the tunes, beginning with deep groove “Embraceable Excuses,” featuring Victor Garcia on trumpet. Junius Paul’s steroidal electric bass, combined with Phil Beale’s pounding drums, lay a muscular foundation, and Matt Nelson’s Filles de Kilimanjaro (Miles Davis, Columbia Records, 1968)-like electric keyboards pump up the alto sax/trumpet give-and-take from Maxwell and Garcia. “Work In Progress” draws the sound away from the dance-able, celebratory mood of the opener into a dark, exploratory territory. Maxwell’s solo is ominous. The rhythm guys shine on this one – with a dark shine, like it’s coming off of a chunk of obsidian. “Throw Away Tune” features Corey Wilkes on trumpet, with a gorgeous muted sound on a smooth flowing ballad. “Saturday Morning Dance” sounds like a tune written for a big band, opening with a trumpet/sax fanfare before McCullough takes flight on a soaring solo. “Hitting Streak” showcases Maxwell’s sound on flute alongside McCullough’s fiery trumpet, adding a different flavor to the uplifting, catchy groove’s of this first-rate band.